Be sure all three drive pins on combination wrench are engaged with barrel nut assembly (9). 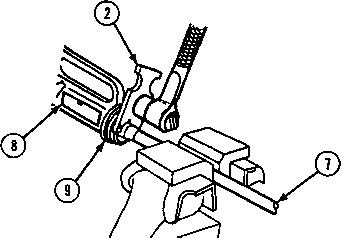 Wrench must be pushed toward upper receiver (8) to compress the slip ring spring in barrel nut assembly (9). (b) Using socket wrench handle and combination wrench (2), loosen barrel nut assembly (9). (a) Separate upper receiver assembly (8) from barrel assembly (10). (b) Remove rifle barrel assembly (10) from vise and barrel removal fixture. (a) Remove retaining ring (1 1) using retaining ring pliers. (b) Remove slip ring spring (12) and handguard slip ring (13). 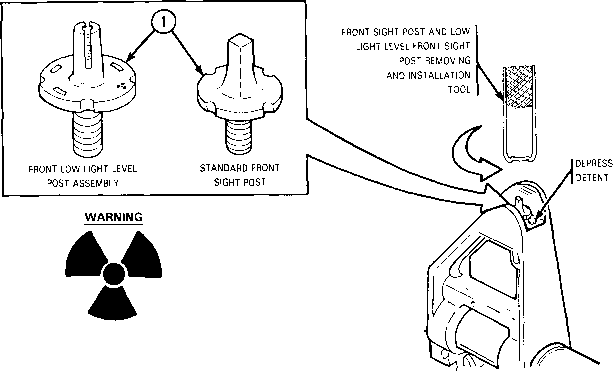 (c) Do not remove barrel nut (14) from rifle barrel assembly (10).